I created a little c# program to create an image from every master shape in every stencil in Visio, and one to create a unique folder image for each stencil and template category. Finally, I uploaded all the images to Windows Azure Storage and provided global read-only access. Now, I have a few years experience with XAML (Silverlight & WPF), so I created my Universal App with C#/XAML, and I chose to start with the Windows App first. I like to use MVVM Light, so I created all of the data and model views in the Shared project, set about adding Windows Advertising SDK and created a series of XAML pages in my Windows App project. The app allows you to search for Microsoft supplied master shapes using partial names or keywords … you can then see which stencil they can be found on. 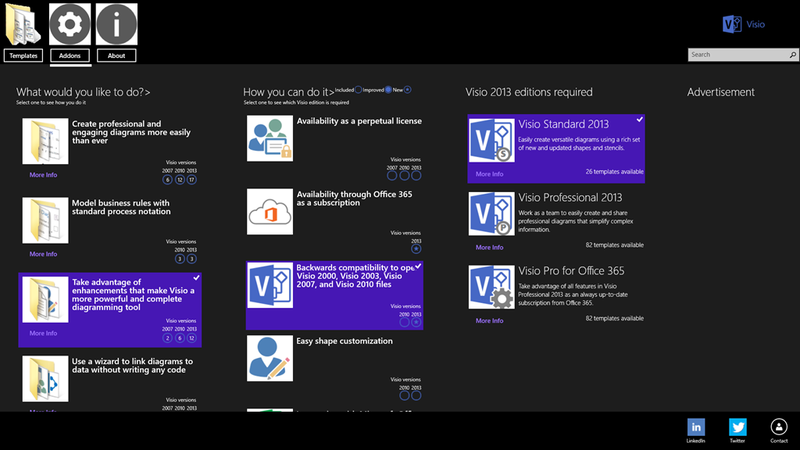 It also lists the various Addons that come with Visio … some of them look like legacy code though. 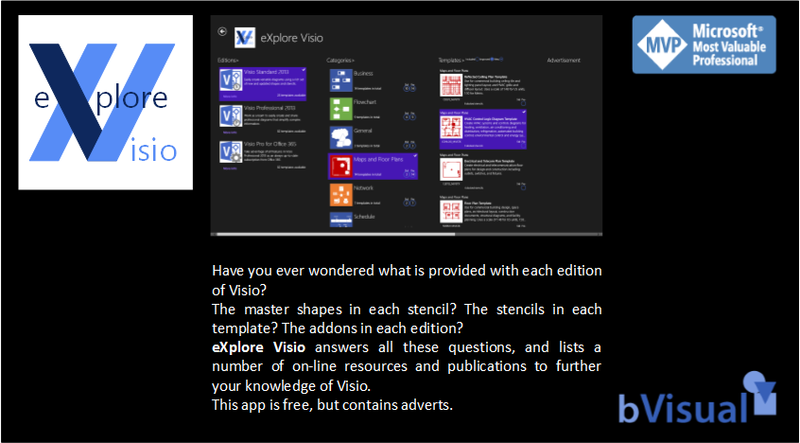 Of course, there are spaces for adverts (I guess that these spaces will be occupied once enough advertisers have campaigns running), and I have listed various of my and Microsoft’s Visio references. Next step is to complete the Windows Phone part of the Universal App!